Red Bull Romaniacs mastermind Martin Freinademetz & Track Director Klaus Sørensen tell us about their plans for 2013. Plus show some of the 2013 trails. Save the date! Don’t miss it ! Winner celebrations immediately after the last race at the Finish Red Bull Arch. Start and finish in Sibiu. The event Bivouac moves to ‘Petroșani’, competitors who inscribed with acommodation will be provided with bedrooms in race HQ hotel(s) and provided with evening meal and breakfast. Start in Sibiu – finish in Guşteriţa. Winner party at the finish. 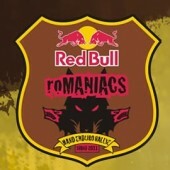 22.00 Party for competitors & service crews and organizing teams – Red Bull Romaniacs hard enduro party party party !! 12:00 Competitor paddock(s) for service crews closed.